(Francisco Kjolseth | The Salt Lake Tribune) Hartford street, South of 2700 S. was recently repaired with chip and seal, which lies in stark contrast to 2700 South near 1600 East that has extensive damage. The Salt Lake City Council is on track to authorize a November referendum seeking voter approval for an $87 million bond to fund up to 10 years of catch-up road repairs. The new money for roads would more than double the amount of maintenance the city could do each year Ñ from 75 to 155 lane miles. (Francisco Kjolseth | The Salt Lake Tribune) City officials give a recent tour of streets in Salt Lake City, including an example of a complete street along Wilmington Ave. just West of Sugarhouse Park that addressed bike, pedestrian and transit aspects in the rebuild. The Salt Lake City Council is on track to authorize a November referendum seeking voter approval for an $87 million bond to fund up to 10 years of catch-up road repairs. The new money for roads would more than double the amount of maintenance the city could do each year Ñ from 75 to 155 lane miles. 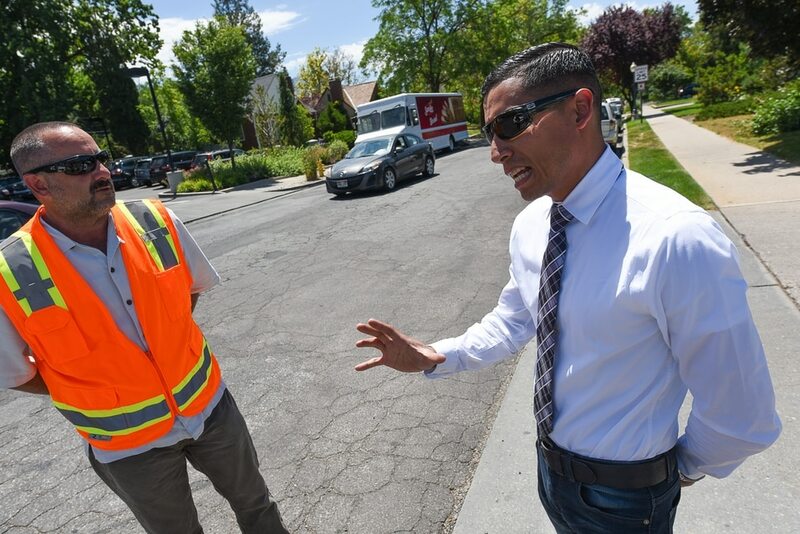 (Francisco Kjolseth | The Salt Lake Tribune) Matt Cassel, City Engineer, left, and Adan Carrillo, a civic engagement specialist discuss the differences between streets that need to be maintained and streets that need to be completely rebuilt during a recent tour of trouble areas and new roads in Salt Lake City on Monday, July 2, 2018. The Salt Lake City Council is on track to authorize a November referendum seeking voter approval for an $87 million bond to fund up to 10 years of catch-up road repairs. The new money for roads would more than double the amount of maintenance the city could do each year Ñ from 75 to 155 lane miles. (Francisco Kjolseth | The Salt Lake Tribune) City officials give a recent tour of streets in Salt Lake City, including an example of a complete street along Wilmington Ave. just West of Sugarhouse Park that addressed bike, pedestrian and transit aspects in the rebuild. The Salt Lake City Council is on track to authorize a November referendum seeking voter approval for an $87 million bond to fund up to 10 years of catch-up road repairs. The new money for roads would more than double the amount of maintenance the city could do each year Ñ from 75 to 155 lane miles. (Francisco Kjolseth | The Salt Lake Tribune) The Salt Lake City Council is on track to authorize a November referendum seeking voter approval for an $87 million bond to fund up to 10 years of catch-up road repairs. The new money for roads would more than double the amount of maintenance the city could do each year Ñ from 75 to 155 lane miles. One road in need of repair is 1700 East near Emigration market in Salt Lake City where clear signs of damage can be seen on Monday, July 2, 2018. (Francisco Kjolseth | The Salt Lake Tribune) The Salt Lake City Council is on track to authorize a November referendum seeking voter approval for an $87 million bond to fund up to 10 years of catch-up road repairs. The new money for roads would more than double the amount of maintenance the city could do each year Ñ from 75 to 155 lane miles. One road in need of repair is 1700 East near Emigration market in Salt Lake City where clear signs of damage can be seen on Monday, July 2, 2018. (Francisco Kjolseth | The Salt Lake Tribune) Numerous streets in Salt Lake City are in need of repair or replacement. On that list is 2700 South where long stretches east of 1300 East have become a rough road to travel. The Salt Lake City Council is on track to authorize a November referendum seeking voter approval for an $87 million bond to fund up to 10 years of catch-up road repairs. The new money for roads would more than double the amount of maintenance the city could do each year Ñ from 75 to 155 lane miles. (Francisco Kjolseth | The Salt Lake Tribune) Hartford street, South of 2700 S. was recently repaired with chip and seal, which lies in stark contrast to 2700 South near 1600 East that has extensive damage. The Salt Lake City Council is on track to authorize a November referendum seeking voter approval for an $87 million bond to fund up to 10 years of catch-up road repairs. The new money for roads would more than double the amount of maintenance the city could do each year Ñ from 75 to 155 lane miles. (Francisco Kjolseth | The Salt Lake Tribune) Numerous streets in Salt Lake City are in need of repair or replacement. On that list is 2700 South where long stretches east of 1300 East have become a rough road to travel. The Salt Lake City Council is on track to authorize a November referendum seeking voter approval for an $87 million bond to fund up to 10 years of catch-up road repairs. The new money for roads would more than double the amount of maintenance the city could do each year Ñ from 75 to 155 lane miles. (Francisco Kjolseth | The Salt Lake Tribune) City officials give a recent tour of streets in Salt Lake City, including an example of a complete street along Wilmington Ave. just West of Sugarhouse Park that addressed bike, pedestrian and transit aspects in the rebuild. The Salt Lake City Council is on track to authorize a November referendum seeking voter approval for an $87 million bond to fund up to 10 years of catch-up road repairs. The new money for roads would more than double the amount of maintenance the city could do each year Ñ from 75 to 155 lane miles. (Francisco Kjolseth | The Salt Lake Tribune) The Salt Lake City Council is on track to authorize a November referendum seeking voter approval for an $87 million bond to fund up to 10 years of catch-up road repairs. The new money for roads would more than double the amount of maintenance the city could do each year Ñ from 75 to 155 lane miles. One road in need of repair is 1700 East near Emigration market in Salt Lake City where clear signs of damage can be seen on Monday, July 2, 2018. (Francisco Kjolseth | The Salt Lake Tribune) Numerous streets in Salt Lake City are in need of repair or replacement. On that list is 2700 South where long stretches east of 1300 East have become a rough road to travel. The Salt Lake City Council is on track to authorize a November referendum seeking voter approval for an $87 million bond to fund up to 10 years of catch-up road repairs. The new money for roads would more than double the amount of maintenance the city could do each year Ñ from 75 to 155 lane miles. 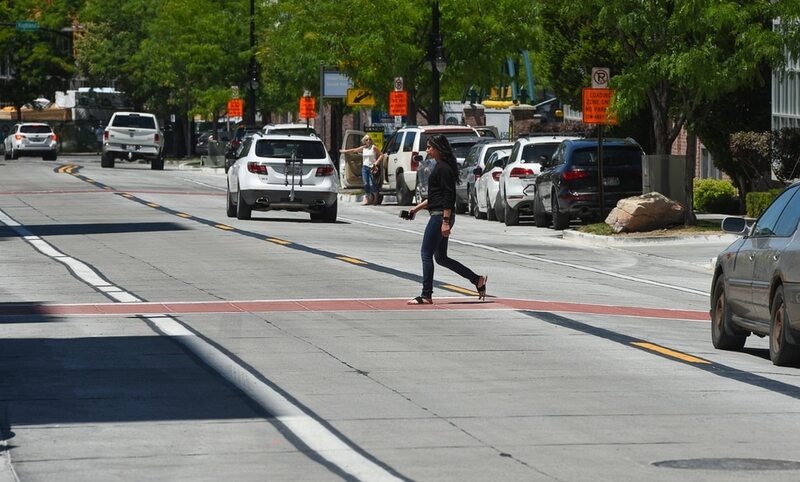 Salt Lake City voters will have the final say on an $87 million road bond city leaders say is needed to fix failing streets. The question on residents’ ballots asks voters whether they want to authorize the city to execute a 20-year bond that would “pay all or a portion of the costs to improve various streets and roads throughout the city and related infrastructure improvements." While supporters cite a desire to improve street conditions, opponents express concern about debt, recent unrelated tax increases and a lack of trust in city finances. Y2 Analytics, a Salt Lake City-based market research group, told the City Council in August that it expects the bond will have “exceptionally high” support in November, based on a survey the company conducted on behalf of the city. After informing respondents of the rationale for the bond, support for the initiative reached 79 percent. 1. If the bond passes, your taxes will go up — slightly. 2. The bond is separate from the city’s sales tax increase and the county’s sales tax increase. The Salt Lake City Council approved a half-percentage-point sales tax increase in May. That revenue, estimated at $33 million annually, will go toward road maintenance (the bond would address reconstruction) and to other initiatives, like expanded bus service and more police officers. Salt Lake County separately endorsed a $58 million sales tax hike for roads and transit in June. That sales tax will bring more than $5 million a year to the capital city. With both taxes, the city’s sales tax climbed from 6.85 percent to 7.6 percent this month. The road bond would be levied as a property tax and would have no effect on the sales tax rate. 3. Salt Lake City’s roads are deteriorating. Putting resources into maintaining the roads before they fail can decrease expenses, extending the life of a street by 25 to 30 years. And it’s much less costly to do maintenance every seven years than to wait until a road needs to be reconstructed. Without maintenance, a road could go from very good condition to very poor condition in 12 to 18 years. The city said it plans to couple reconstruction efforts with maintenance, and it recently employed a second maintenance crew, using funds from the sales tax, in an effort to improve roads and make sure they don’t return to their current state of disrepair. 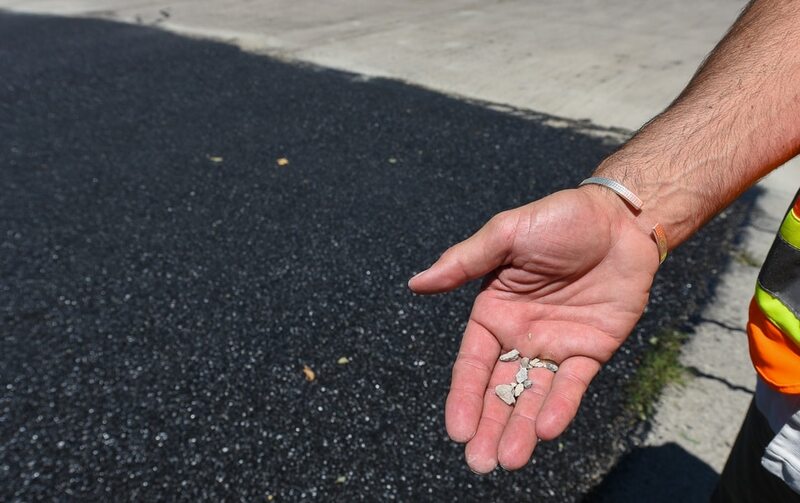 Officials have said they have no estimate for how much taxpayer money could have been saved with improved road maintenance over the past few years. 4. The worst roads will get fixed first, but the bond won’t fix all the ones that need repair. Eighty percent of the bond money would go toward fixing heavily traveled roads, while the rest would go toward repairing roads with less traffic. Using the data from its road survey, the city says it will work to mend failed streets first, while taking into consideration current projects. That means that before breaking ground, city officials will partner with public works to ensure that utilities, like waterlines, are replaced at the same time, so a road isn’t torn up twice. 5. It’s unclear what would happen if the bond fails. The roads won’t stop deteriorating if the bond measure doesn’t pass, but Salt Lake City Mayor Jackie Biskupski and City Council Chairwoman Erin Mendenhall have said they want to see what happens with the bond before coming up with a Plan B.
Biskupski did acknowledge that failure would make it “very difficult” for the city to fund full reconstruction projects.